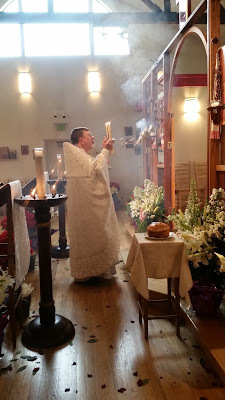 In the Byzantine tradition, the day before the Ascension is known as the “Leave-taking” of Easter; this is the official end of the Paschal season, marked by dropping certain features from the liturgy. 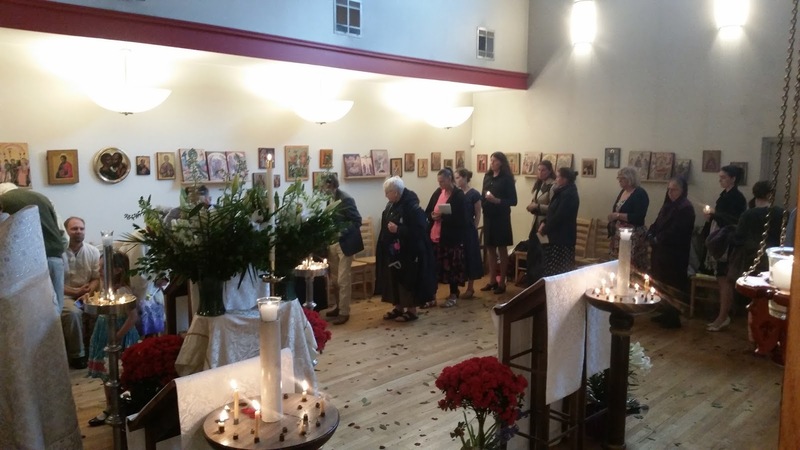 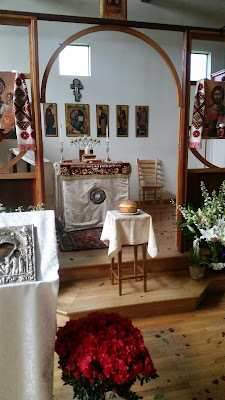 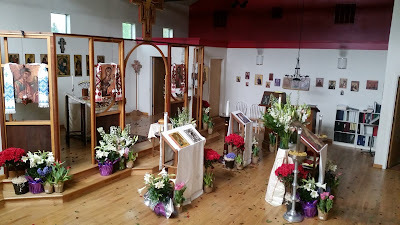 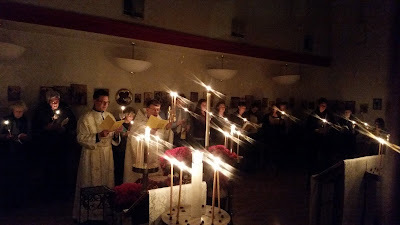 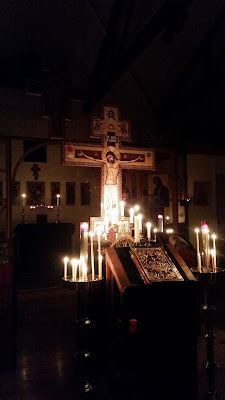 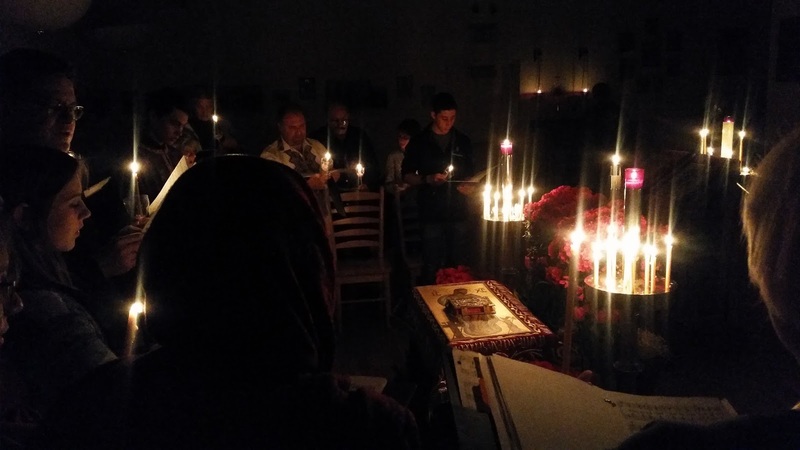 (E.g., the famous chant which begins every Divine Liturgy in the Easter season, “Christ is risen from the dead; by death He trampled death...”, is discontinued after today.) I thought it would be good to mark the day with one last bit of unfinished business from our most recent photopost series. 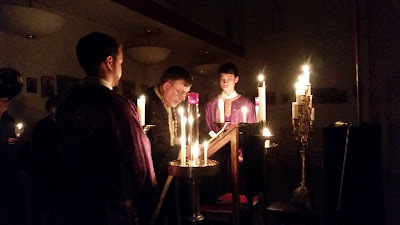 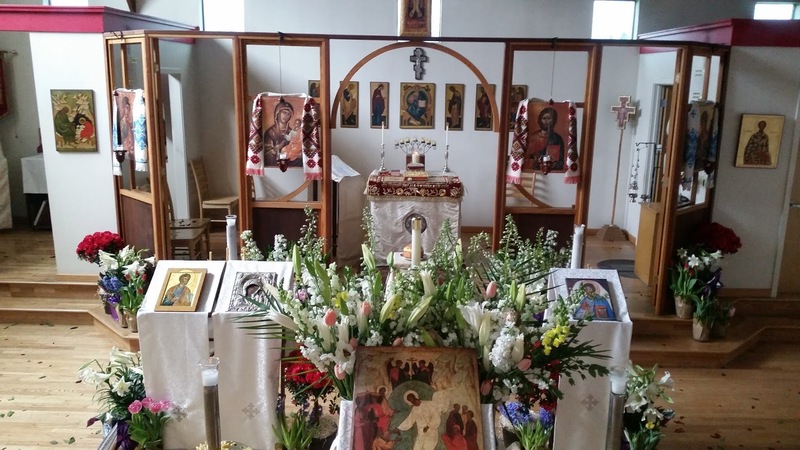 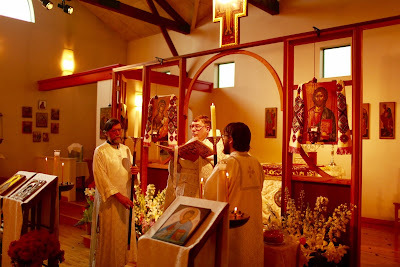 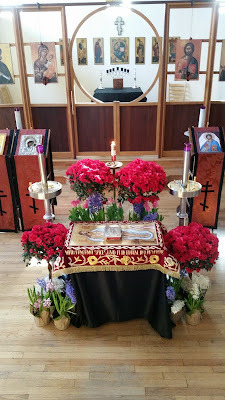 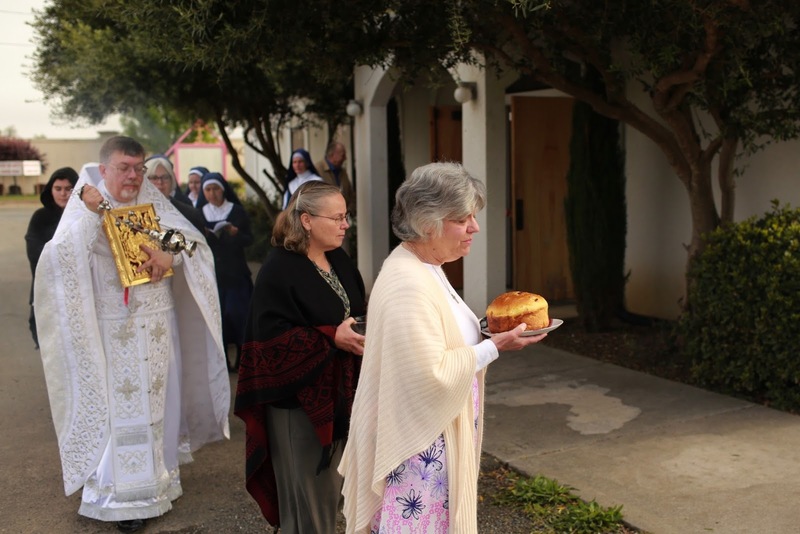 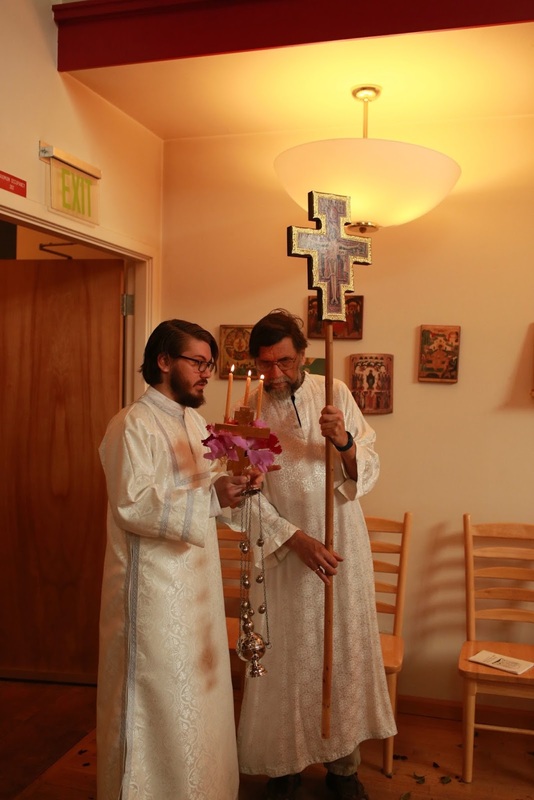 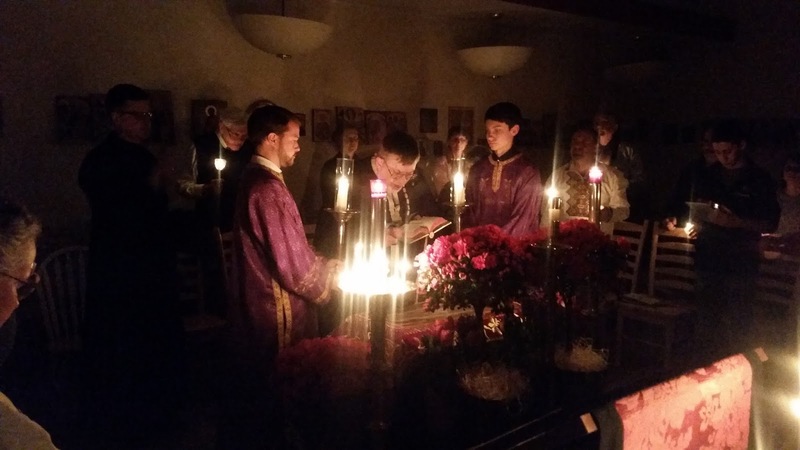 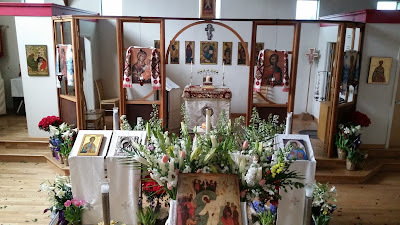 These photos of the major ceremonies of Holy Week and Easter were taken at St Peter’s Eastern Catholic Church in Ukiah, California, which labors mightily to make the richness and beauty of the Byzantine liturgical tradition accessible to all and sundry. 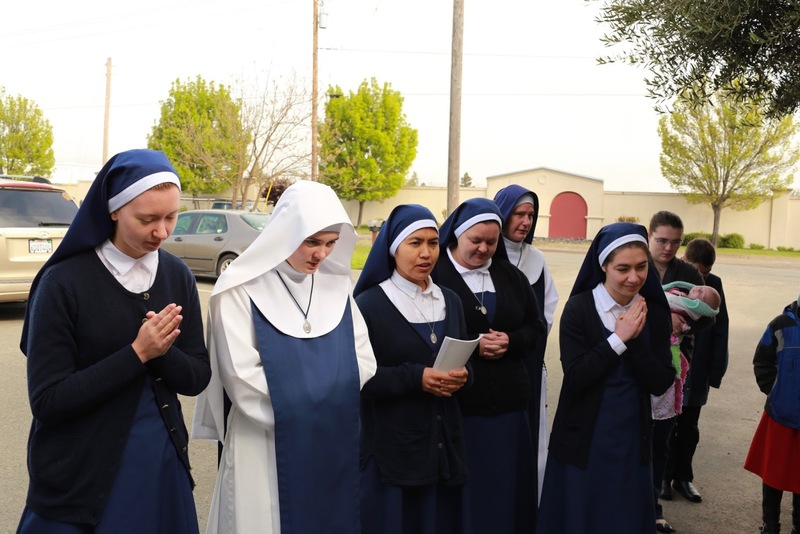 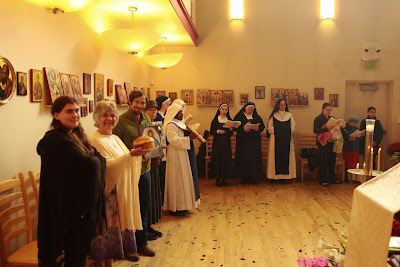 The last few were taken on Bright Wednesday, when Fr David Anderson and his parish welcomed a visit from the Marian Sisters of Santa Rosa, they of the famous amice ties. 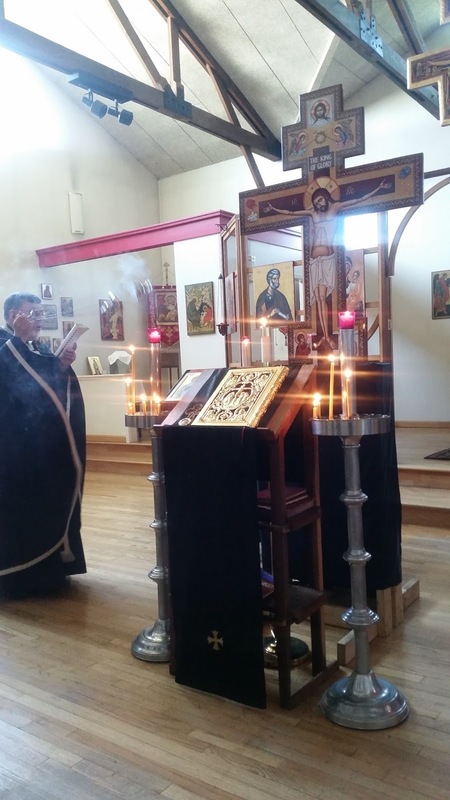 Our thanks to Mr Philip Gilbert, a member of the parish who is now studying for the Greek-Catholic priesthood, for sending these in.